Hot, loud, flashy, and incredibly smoky. 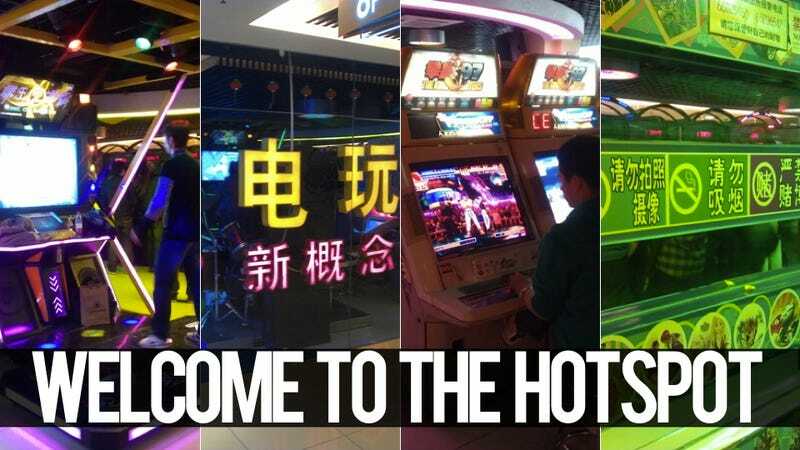 These are some of the best ways to describe the sensation of walking into an arcade in China. And when walking in during peak hours, the lines to play the latest fighting games usually snake across cabinets. It's interesting to see that China still has a flourishing arcade industry as game centers were nearly wiped out in the early 2000s along with the video game console ban. Despite falling into the same category as video game consoles (arcade machines are huge game boxes, like consoles), arcades and arcade cabinets are not illegal in China. Instead, arcades fall under the jurisdiction of the Ministry of Culture—the same ministry that oversees internet cafes. These days, arcades are widespread across the country, whether that be inside shiny super malls or dingy back-alley rooms. Just like the gray market , arcades are slightly shady. To open a small arcade with about 10-12 cabinets in China costs somewhere along the lines of 50,000 RMB ($7,914) as well as a business license to operate an internet cafe. To get the license, would-be arcade owners must agree to random spot checks by the authorities as well. Like internet cafes, arcades are required to bar minors from entering during school days. However, unlike internet cafes, arcades do not require identification upon entrance, nor do they keep a database of who comes and goes. On top of that, smoking is prohibited and only sometimes enforced in internet cafes, but no one bothers in arcades. Despite the blatant no smoking signs and hired security to stop people from smoking indoors in other places of business, arcades even put out ashtrays. Some of the more popular games in Chinese arcades are fighting games. Often, there will be lines of people waiting to play BlazBlue or Super Street Fighter IV. While arcades in China are often filled with the overwhelming stench of B.O. and cigarettes, the unpleasant aroma is spiced with some super pungent girly perfume from the females in attendance. Smaller venues will normally have 3-8 cabinets—most of which are comprised of fighting games such as Street Fighter II. Bigger and more established arcades inside super malls often have the classics such as air hockey, claw machines, and even skee ball. There are also unlicensed rip-off titles, too, such as arcade versions of Angry Birds and Plants Versus Zombies. The following gallery is a look inside two Chinese internet cafes, both of which are in Beijing within five minutes of each other. Both have surly looking Chinese hooligans who threatened to confiscate my camera and phone if I took anymore pictures, but long story short, I do not take kindly to burly Chinese men who are a foot smaller than I am—no pun, intended!